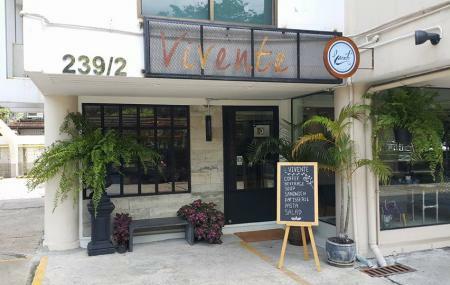 If you are looking for a place to unwind and get away from the hustle and bustle of the city of Bangkok, head to the Vivente Life & Coffee. This place serves some of the best coffee in the city. The place is quite cosy and peaceful and offers its visitors a chance to sit back and relax, also enjoy reading your favourite book. Along with the coffee, this place also serves breakfast, lunch and dinner and the menu is a great mix of traditional Thai cuisine as well as a few continental food items. The portion sizes are huge and the prices are quite affordable. There is a large parking space available here. Attractions like Wat Pho Reclining Buddha, B T S Skytrain, Rajawongse Clothier, Grand Palace and Wat Phra Kaew are the usual crowd pullers of Bangkok and you might easily miss out Vivente Life & Coffee amidst these top things to do. Most of the Bangkok tours skip a visit to this place, but you can create your customized plan if you wish to visit Vivente Life & Coffee. Want to plan a DIY trip? Use Bangkok trip planner for the same. Hotels like Pas Cher Hotel De Bangkok, Ibis Bangkok Riverside, Kokotel Bangkok Surawong and Marvin Suites will solve your problem of where to stay in Bangkok. Create your own Bangkok vacation packages or choose from the ones made by travel experts. Also explore the best ways for how to reach Bangkok. How popular is Vivente Life & Coffee? People normally club together Toy Kuay Teow Reua Boat Noodles and Thunder Dome while planning their visit to Vivente Life & Coffee.